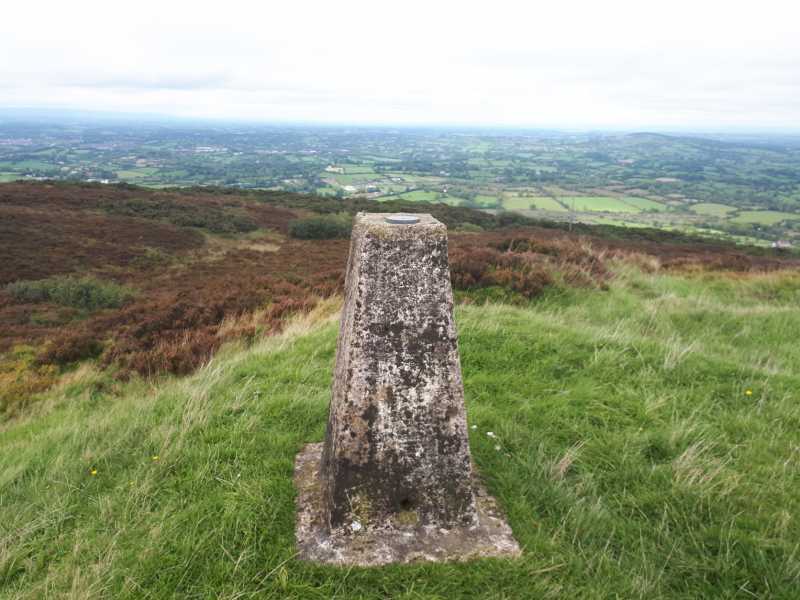 Picture from madfrankie : The view from Slieve Glah - note the plastic curtain rail. Picture: The view from Slieve Glah - note the plastic curtain rail. Fills your heart with glahness. Slieve Glah is a small, but visible hill south of Cavan town near the village of Crosskeys. The map suggests two access tracks, but I could only find the start of the more convoluted longer track. Hooray for local hills! Despite tending to the garden in the morning and training for the Tri-Athlone in the afternoon, I still had time (and energy) to bag a climb! 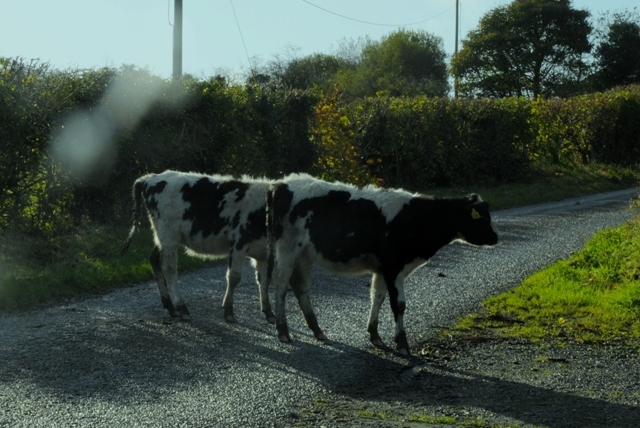 I accessed Slieve Glah from the south on a minor road off the Cavan to Ballyjamesduff road. 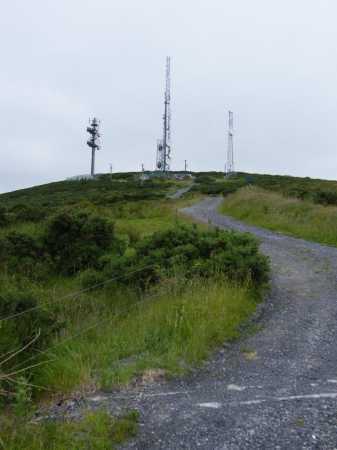 There are a plethora of communication masts and a rough track up to them. 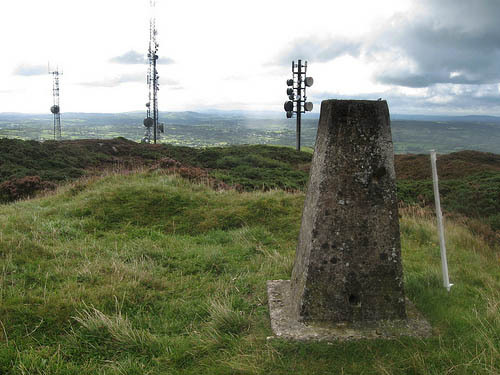 The trig point is about 100m beyond these masts up a rise. There are no clear paths beyond the masts and I had to fight through gorse and heather to get to the trig!